Golden Axe (Sega, 1989) - NewRetroWave - Stay Retro! | Live The 80's Dream! Sword & Sorcery. Known for buff swordsmen, scantily-clad warrior-women, and evil magic, this sub-genre of fantasy held pop culture in its jaws in the 70s and 80s. It never really went away; Robert E. Howard’s “Conan” character is still popular today as a poster-boy for the aesthetic and the ideal. It offered us a darker, grittier (but also sometimes much sillier) alternative to the elves & dragons we’re all familiar with. What started with fiction and art from men like Howard and Frazetta soon blossomed into film and TV… it’s no surprise a few video games got made. 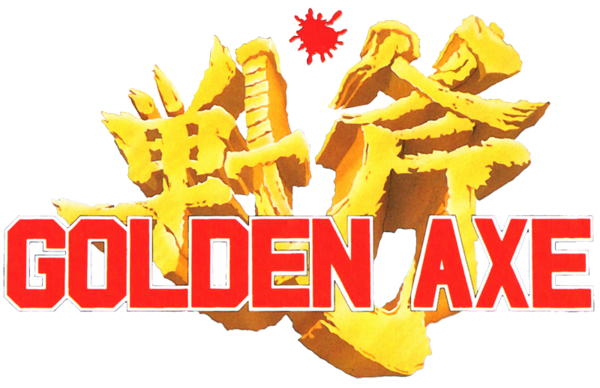 Golden Axe (called “Fighting Axe” in Japan) fits the mold of sword & sorcery, and it’s no disappointment. 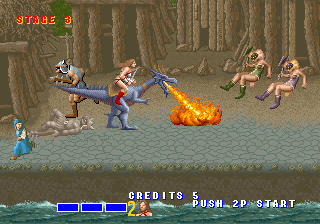 Developed by the same team who created Altered Beast, Golden Axe was released in 1989 for both the arcade (June) and the Mega Drive/Genesis (December). In researching this article, I took a good look at both; the Mega Drive version is largely unchanged from the arcade, but it contains one more level, a new ending, and a play mode that allows you and a friend to chop one another to bits instead of the bad guys. It is this version I have focused on, as it seems to be the one folks are most familiar with. The plot isn’t too complex: some jerk named Death Adder has kidnapped the King and his daughter, and has begun plundering the land of Yuria like it was his own personal playground. Enter Ax (the swordsman), Tyris (the swordswoman) and Gillis (the badass dwarf with an axe as big as he is), three fledgling heroes with vendettas of their own against Death Adder. Each player selects one of these characters to plow through the minions of evil and set things right by putting Death Adder down like the mangy dog he is. 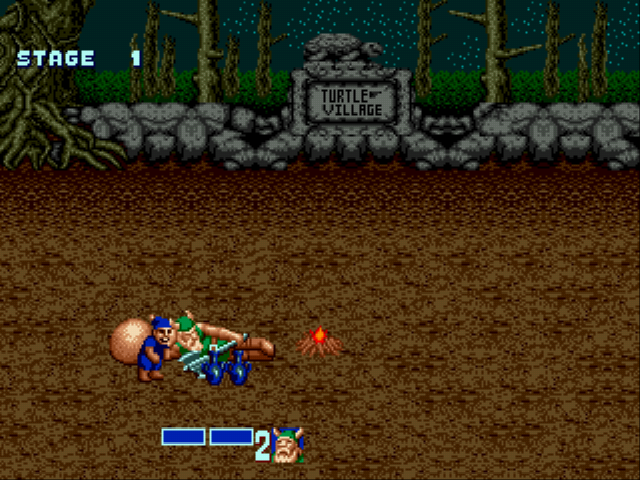 The game leads them across various levels, including a village built on the back of a giant turtle. 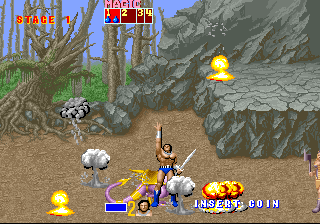 Overall, Golden Axe plays like a big medieval beat-em-up, not too different mechanics-wise from games like Double Dragon or Streets of Rage. Each character is about as competent as their two counterparts in hand-to-hand combat, but what sets them apart is the type of magic they use. The dwarf creates lightning with his spells, while Tyris hurls fire and Ax summons up the earth itself. The magic itself isn’t terribly versatile, but you only really need it for one thing: to pound the crap out of enemies in a tight spot. The spells are fueled by little blue pots you gather by kicking around tiny men who run around with gunny sacks. You’d think I’m making that up, but I swear I’m serious. These tiny men can and do exact their revenge between levels, however, by trying to steal the blue pots back from you as you rest. Your bigger concern is the veritable army of brutes arrayed against you. It all starts off gently enough, with piecemeal-armored men wielding clubs and maces; things get a bit more serious once the skeletons, animated statues, and armored warriors twice your size start showing up. Some of these ruffians sit astride strange animals, which luckily enough, you can usually steal when you unseat the rider. Some simply attack with their tails, but many also breathe fire. It is undoubtedly better to the the breather than it is to be breathed on. 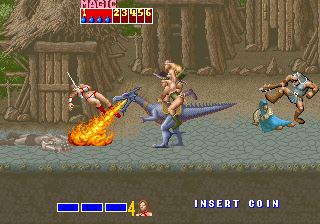 There is a lot of palette-swapping going on in Golden Axe, but it is used well and isn’t done sloppily. Both the background graphics and the sprites are pretty crisp and detailed, and while the animation’s pretty simple, it gets the point across. 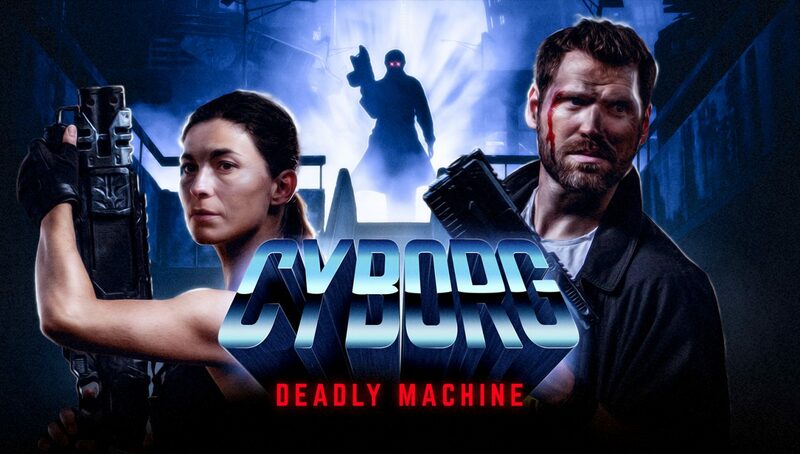 There are no sweeping cinematics or long cutscenes; the game focuses mostly on the action, but you are given a short storyline advancement between levels. The sound is pretty good, with digitized voices featured prominently (though really only in the form of death screams). The music steals the show more than anything. It is pulse pounding, action-oriented, and powerfully heroic. The intro theme and 1st level music stand out to me as exceptional, but the entire soundtrack is excellent. 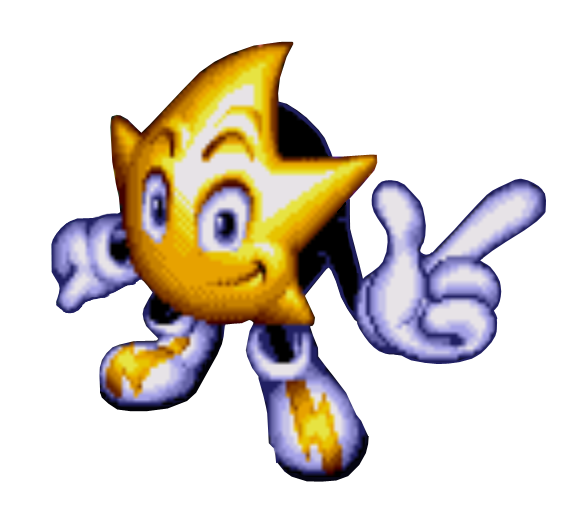 The game spawned two sequels for the Mega Drive/Genesis AND two in the arcade, as well as a couple of spinoff games (with the character Ax getting his own game for the Sega Game Gear). 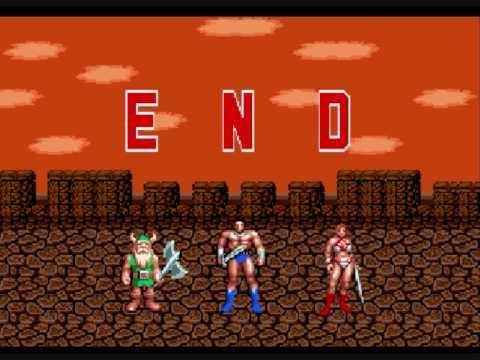 While I’d hardly call it a franchise, Golden Axe is certainly more than a drop in the bucket. 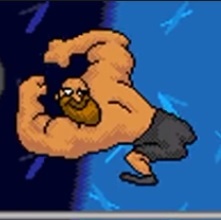 It has held lasting appeal for console and arcade fanatics, and is notable as an important crossover between fantasy/RPG aesthetics and the classic beat-em-up play style. If you’d like to play, Internet Archive has a free browser version available. Later in the month, we’ll look at some other fantasy-themed games for June. Until next time, RetroFans!